Chimpifield is an app that automatically adds every single customer to an online business owner’s Mailchimp list. For that, the business owner needs to have the consent of such customers. It does not add any newsletter form for signing up from the website. To have such facility, one needs to set that up separately. After installing the app, Chimpifield will create a prompt first. One has to add his store name and then click on “Install” tab. After being prompted, one needs to enter his Mailchimp username and password. After that, Chimpifield will ask him for his Mailchimp list he wants to connect with Shopify. 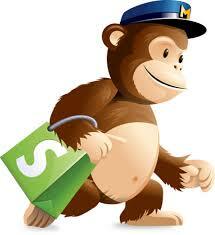 Then Chimpified will add some basic things regarding specified list for easy segmentation for his Shopify customers. Any existing customer who is enlisted with Shopify list and who has given his consent will be added automatically to his designated Mailchimp list. Now, if any customer opts for receiving marketing email from the Shopify store, he will be automatically added too Mailchimp. This app not only adds and augments cutomers to one’s Mailchimp list, but its integration also captures eCommerce 360 data when his Mailchimp subscribers buys anything from his store. Once he gets connected to his Mailchimp account, Chimpified automatically syncs up to the last 5,000 orders with his Mailchimp subscribers. It is a free app which anybody can download free of cost; one only needs to spend $10-$240 per month depending on the number of subscribers. One can always segment his list to target such subscribers who have purchased some specific items or have spent a specific amount of dollar. Moreover, with the new auto-responder triggers, it becomes quite easy for MailChimp to send an automated campaign to subscribers when any purchase gets recorded in their MailChimp subscriber profile. It is a revolutionary tool with which an online store owner can get huge number of potential customers.